Why Customers Use CNC Machine Tool Hardware - SFA Inc. When working with a CNC machine tool, it can sometimes be frustrating for machinists and those on the shop floor. When you have a big, expensive machine that can do amazingly complicated tasks, yet there are certain tasks it cannot handle, it is understandable. Upkeep can also be a chore. There are workarounds that can get a machine of any age working great again, and CNC machine tool hardware is one of them. CNC machine tool hardware can fulfill any number of purposes. It can make a machine with a USB port go wireless. It can help replace old media, such as floppy disks or PCMCIA cards. 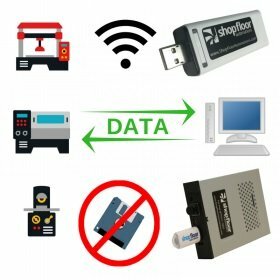 They can replace cabling on the shop floor, help drip-feed programs that are too big to download at machines, plus many more benefits. Check out our hardware, software and support customer reviews. If you want to learn more about our hardware or other solutions, call (877) 611-5825 or fill out this form to have an Account Executive get back to you.